I created this “octagon” using the pen tool, but I can’t get all the proportions straight. None of the diagonal sides are the same length, and I can’t get them straight because “Edit Points” does not display any coordinates. I can rotate it 22.5 degrees to get its sides parallel to the X axis. Can you change its size before you rotate it? Will that work? The editor is out of frame on your screen shots, but have you tried the little Lock icon next to the dimensions? That locks the proportions of height and width. 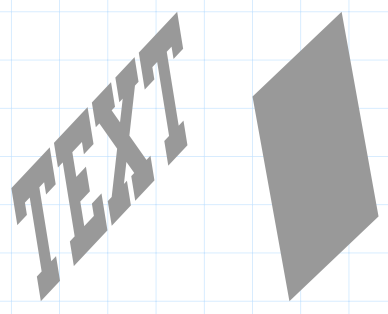 Height and Width are the dimensions of the outline box, which is different than X & Y as you’ve shown, because the shape can be rotated. Yes, it can be rotated. But whether I try to rescale it before or after I rotate it makes no difference, because the frame in which it gets rescaled rotates with the figure. I tried combining it with other shapes so I could rescale them together, but that same frame stays there, and I get the same results. I know about the lock icon. 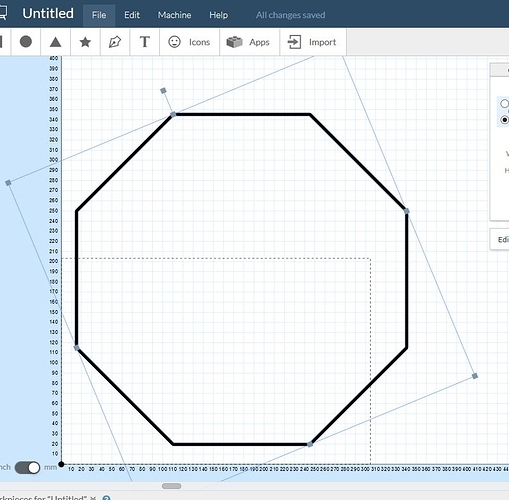 So make your octagon in the polygon app. Rotate the 22.5 degrees. 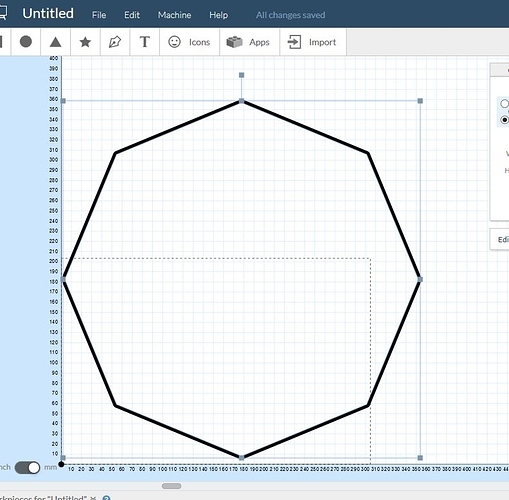 Select the shape and use the Offsetter app and create 1 shape outward. Apply that and when it arrives on the work area move it aside and then just select the new outer band. Delete that shape and your left with the old rotated octagon and the new shape which should be the octagon without 22.5 degree offset. Locking the x and y and then dragging should scale the shape without skewing. At least it did for me when I just tried it. Edit: forgot you want the X longer. Just dont lock them together and you should be able to extend the X.
I think you’re trying to resize the shape with respect to the X and Y axes, but the size properties are with respect to the shape’s orientation. That’s better than my route for sure. This is why I spend a lot of time lurking in the forums. Always something to learn. rodovich: Thanks! I tried that, but missed the last step, “combine”. OK, once I have it straightened and resized, I can’t remove the other figure I added, so what I am using is a circle with a diameter smaller than the bit I am using. 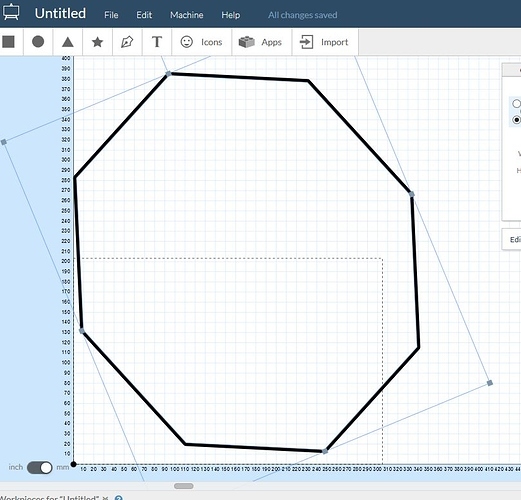 So it won’t even cut that, and I can copy, paste, and resize the octagon in any way I want now. As long as you want a regular octagon here’s what I would do to give me a shape that I could manipulate fully. Use the following equation to find L; it’s based on the fact that a regular octagon can have a square drawn around it and if you know S then you can find the sides of the imaginary triangle that is at the four corners of the square beyond the octagon. Shout out to Pythagoras! 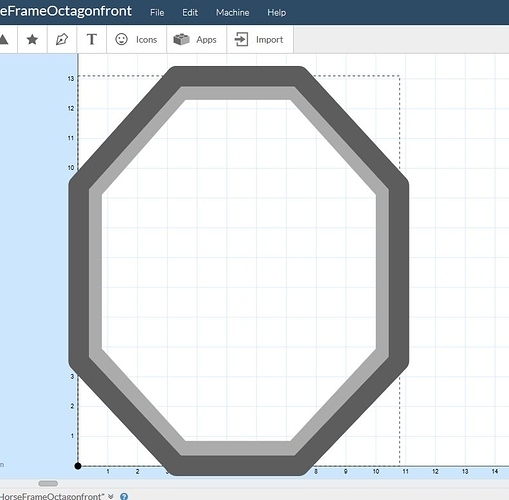 Here’s a quick example of an octagon I cooked up using this very method. 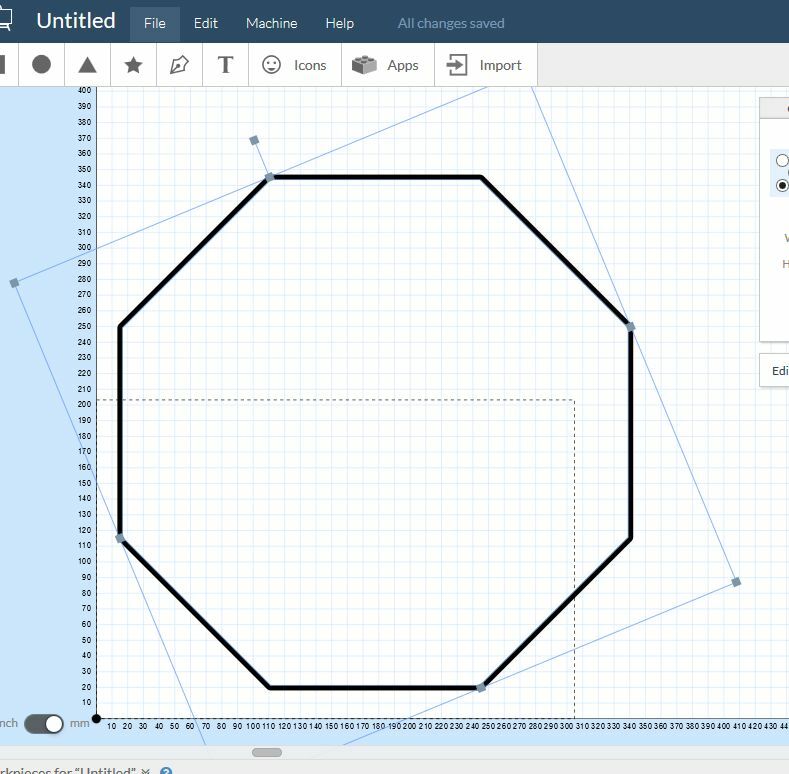 I have only NOT performed Step 7 for combining them so you can see how the octagon looks as just the rectangles overlapping one another. 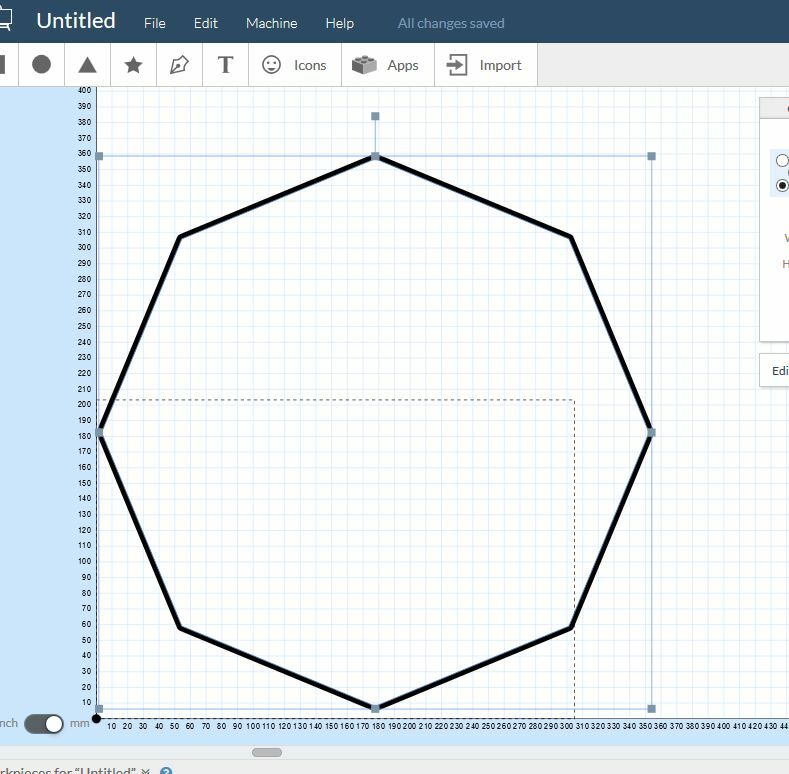 Obviously you will need to be aware of any rounding errors so verify the octagon is displayed correctly and that any tool paths generated look good for your use.